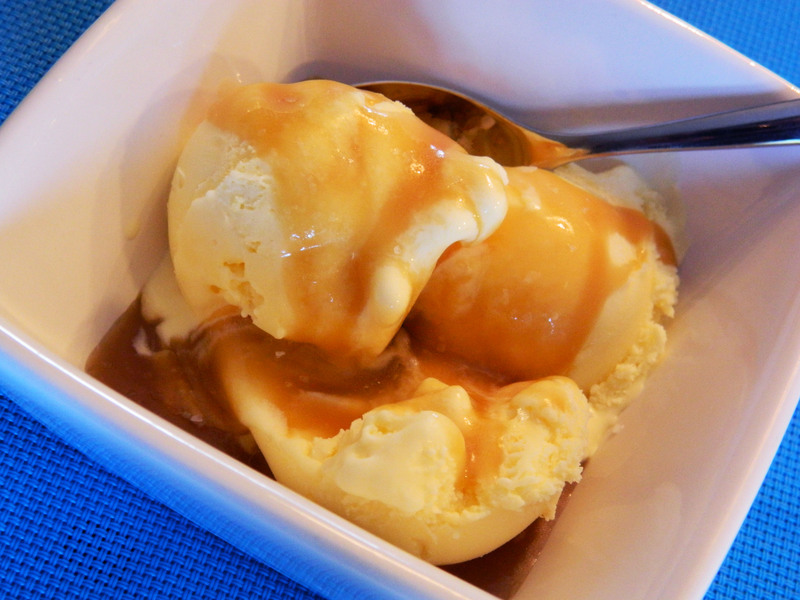 Those who are dedicated Pinterest surfers like I am have likely noticed the slew of microwave caramel recipes floating around. 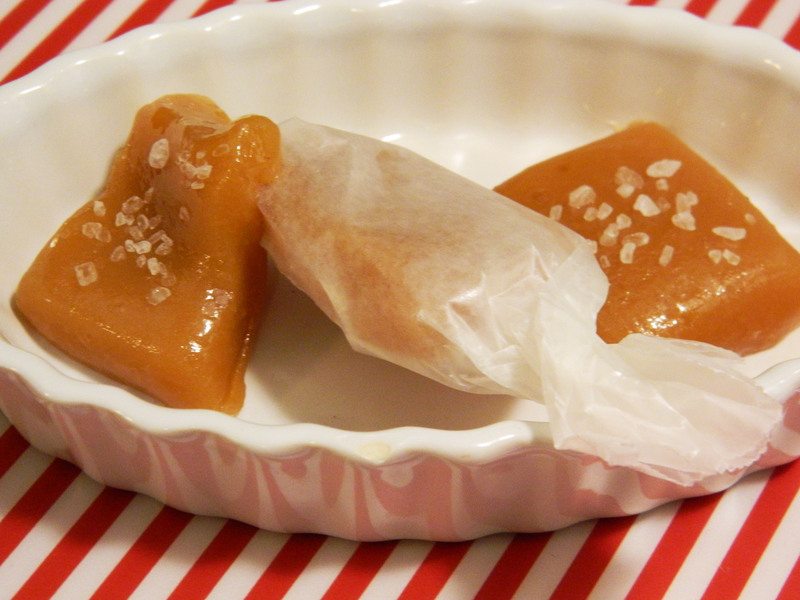 These are my versions and they’re so tasty, I’ll never go back to slaving over a pot with a candy thermometer again. Because the recipe calls for basically half a can of sweetened condensed milk, I decided to make two batches: one apple cider & cinnamon, and the other salted whisky flavour. Waste not want not, right? This recipe is so quick and simple and makes such a great neighbour or hostess gift. I hope you’ll agree! Heat on high for 6-8 minutes, stirring every 2 minutes and pour into a well greased 8×8 or 9×9 pan. Dust the top with a bit more cinnamon and let cool in the fridge before slicing. For the salted whisky add all the original ingredients to another large microwave safe bowl as well as 2 oz. of Forty Creek whisky. If you’re not a whisky fan, this could work really well with spiced rum. Again, heat on high for 6-8 minutes, stirring every 2 minutes before pouring into a well greased pan. Sprinkle coarse sea salt over the top before refrigerating. 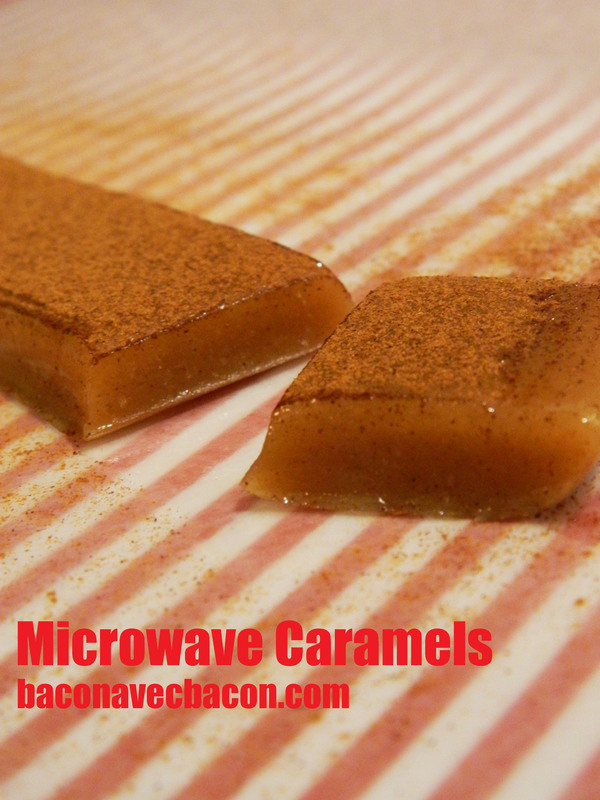 I like to use my handy bench scraper to get nice straight clean lines when cutting the caramels. You can either cut them into individual pieces and wrap each one separately (painful) or you can cheat like I do and cut them into about 5 long strips and wrap them in waxed paper for cutting as you eat them. Once packaged they should be kept refrigerated. Take them out of the fridge for about a half hour before serving.